Welcome to our Dojo’s website!! If you have any questions regarding of Gibo Karate Dojo, please free to send email to the following address directly. If you don’t mind, please tell us your name, address and other details. We are pleased to welcome all international Karate students. please try to look at this attached anniversary DVD sets. 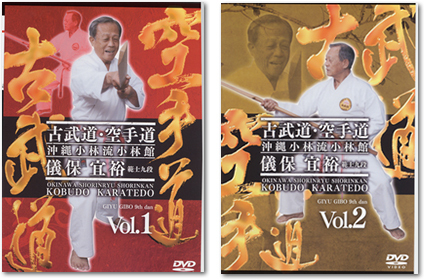 These DVDs are made up of standard lessons where everyone can easily learn each Kata to imitate sensei’s performance even if it is first time to experience Karate. it can be gotten through by Japanese post service. Please send us request mail including of your address, name and so on. 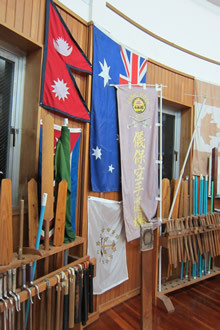 Shorin-ryu Karate is to keep on training each Kata many times every day. effectively as example of every lesson in your home. Keep training to practice Karate! Good luck on your Karate excise! copyright(c)2007 Gibo Paint Corporation.ALL Right Reserved.